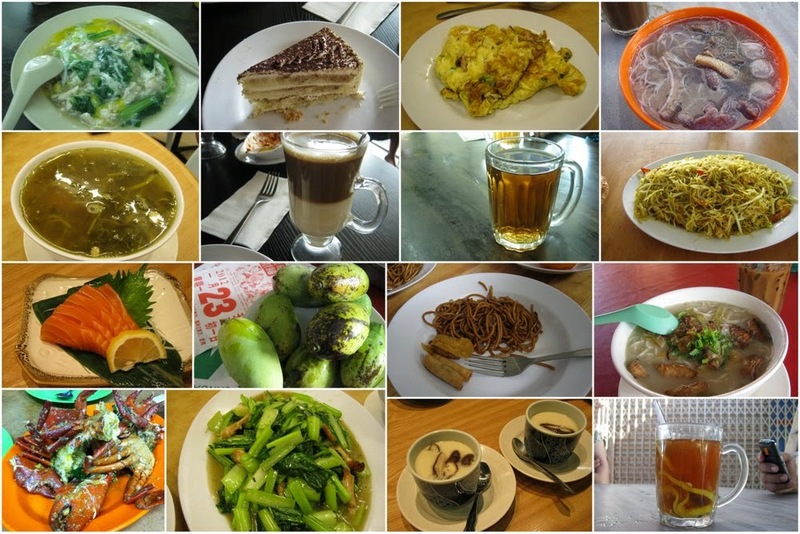 Some examples of local dishes that can be introduced to tourist/visitors to Sabah in order for them to have a taste of the local food that is commonly available in Food courts or local restaurants. Sabah has around 32 ethnic groups living together with other migrant races that arrived on Sabah shores a hundred years or more ago . For the purpose of this paper , we will group them into 4 main groups . Malaysia /Sabah is blessed with an abundance of seafood, deer, wild boar and other game plus various edible plants and fruits found in the forest .The various methods of cooking these items has led to the creation of our Local cuisine . The Dusun/Kadazan & Murut people used to hunt , fish and gather fruits and herbs from the forest. Their method of cooking was very simple . Bar-b- Que, ,steaming, boiling , pickling or by preserving . Preserving was done by smoking the extra meat or by mixing raw meat/fish with cooked rice and salt . This was then sealed in a bamboo and buried in the ground till the mixture was fermented . 2 most common delicacies are Jeruk Bambangan or pickled wild Mango and Hinava – Raw fish Salad. Malay,Bajau /Iranun/Brunei Malay community were traditional Fisher men and lived next to the sea . Their diet consisted mainly of seafood and some vegetables that they grew in their backyards. Method of cooking was Bar-b-que , steaming , boiling and frying . The taste is usually spicy( from chillies and spices ) and sweet from the use of Santan ( Coconut milk ) in their cooking . Many of the dishes are influenced by Indian and Indonesian cuisine. Ikan Pangang and other seafood was often marinated with fresh herbs , chillies, ginger, turmeric and coconut milk. The food was then wrapped in banana leaves and grilled over a charcoal fire. Rendang, Laksa lemak, Nasi Lemak & Satay , are some delicacies that the Malay community is famous for . The Chinese community is made up of various groups, the Hakka, Cantonese, Teo Chiew , Hokkian and Shantung to name a few. Coming from various regions of China, they each have their own unique cuisine and signature dishes. Method of cooking is by frying, steaming & boiling. Only the freshest of vegetables and meat is preferred. Chinese cooking is generally very lightly flavoured and places emphasis on the clever combination of textures to provide the contrast, such as tender prawns and crisp cashew nuts, dried mushrooms and herbs with fresh meat or chicken . Examples of Heaty food : Durain ,meat, chocolate, stout . Examples of cooling food: Tomatoes, cucumber, lotus root , barley and herbal soups. Common seasonings used in Chinese cooking are , Soya sauce, sesame oil , oyster sauce, rice wine, Salted Beans ( Tau cheo),Salted black beans ( Tau See),White pepper, Star anise & Five spice powder. Five spice powder is a seasoning of ground Star anise, fennel, cloves, cinnamon & Szechwan pepper. The Indian community that is represented in Sabah are mainly from the Indian Muslim community and some Hindus. They originated from Central & Southern India and their cuisine consist mainly of spicy meat or vegetable curries . Many of the Hindus from southern India are Vegetarians and use lots of lentils, dried beans or peas . The Indian Muslims eat more mutton, seafood , chicken , but not pork. Method of cooking is by Frying , simmering and baking in a “Tandoor” or clay oven . Lots of dried spices and chillies are used to flavour Indian food. Coconut milk is commonly used in Southern India while Yoghurt is used in the North. Rotis, Chapattis, Puri ( Bread ) made from whole grain or white flour are eaten all day and provide a cheap and light snack. Tosai made from A black dhal is usually eaten for breakfast . Along with idili and Vaday. Banana Leaf curry/Fish head curry is another local favourite. Fresh herbs used in Malaysian cooking. Dried spices used in Malaysian Cooking.